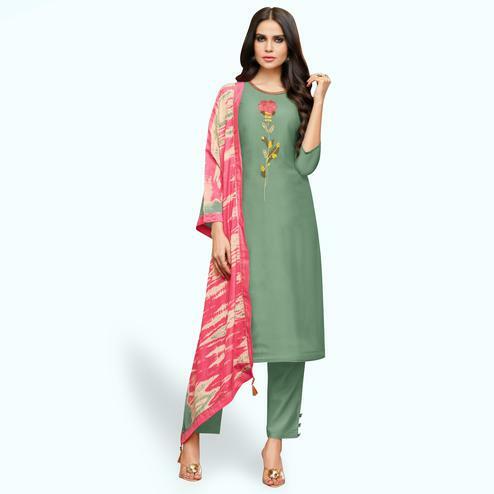 Redefine your style with this stylish and elegant beige dress material with dupatta. Crafted from georgette fabric, & features ethnic thread embroidery. Team this with a pair of matching earrings and heels for the perfect look.